'The Insulin Factor' Teaches you how to implement a unique plan to Reverse Insulin Resistance! 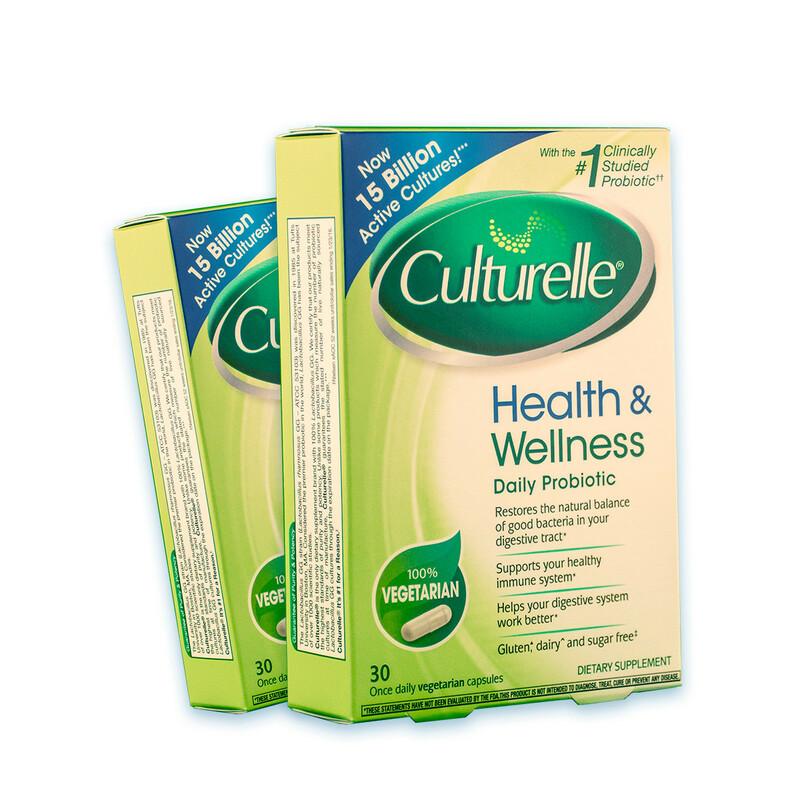 Culturelle® contains Lactobacillus GG, an extensively studied strain of friendly intestinal bacteria, naturally occurring in the digestive tract. Lactobacillus GG is a specific strain of the species Lactobacillus rhamnosus, discovered and patented by researchers Drs. Gorbach and Goldin at Tufts University. To date, this is the best-studied and most extensively documented probiotic lactic acid bacteria strain in the world. * Dairy-free and gluten-free. An optimally functioning intestinal system is crucial to the health of the whole body. The human gastrointestinal tract harbours trillions of microorganisms, some beneficial to our health and some not. The cells that line the intestines, called villi, form a single layer that regulates digestion and absorbs the digested products. Friendly (probiotic) bacteria live attached to the villi, finding food and shelter, and in turn providing benefits to their host. Probiotic bacteria naturally occur in fermented foods, such as live culture yogurt and sauerkraut. Nobel Prize laureate Elie Metchnikoff observed in the 19th century that people in the Balkans who ate yogurt and other foods cultured with lactobacilli were longer-lived. He theorised that ingestion of lactobacilli could prolong life by competitively inhibiting undesirable microbes, preventing them from taking up residence and producing toxins. Intestinal dysbiosis occurs when unfriendly bacteria imbalance probiotic bacteria. Factors that can promote dysbiosis include antibiotics, steroids including birth control pills, alcohol, bacterial infections, stress, travelling or a poor diet. Lactobacillus GG (L.GG) is one of four subspecies of Lactobacillus casei, and is the most thoroughly documented probiotic lactobacillus in the world. It is the result of a search by two scientists at Tufts University, Drs. Sherwood Gorbach and Barry Goldin. They wanted a probiotic that was: 1) originally found in the human gut; 2) able to attach to and colonise the epithelial lining, thereby preventing unfriendly bacteria from doing so; 3) resistant to gastric acids and bile; 4) capable of beneficial activity in the human host; and 5) proven to be safe. L.GG satisfied all these criteria, and has since been subjected to over two hundred clinical trials that support its safety and effectiveness. It is now used all over the world, including in Asia, Europe and the Americas. Lactobacillus GG (L.GG) has no direct contact with any animal or non-vegan ingredients in its production. However, because it is produced in a facility that also handles dairy ingredients, the manufacturers have described this product as 100% vegetarian as opposed to vegan. Avoid obvious sources of pollution, toxins and fumes. Air your house. Consume whole, fresh foods, and minimise all forms of refined sugar and carbohydrates and processed foods. Drink adequate quantities of filtered water. Keep in a cool, dry place, tightly capped and stored out of reach of children. For use as a dietary supplement, take one (1) capsule per day to support your immune health. Ingredients: Microcrystalline cellulose, hydroxypropyl methylcellulose, sucrose, maltodextrin, magnesium stearate, titanium dioxide (colour), and silicon dioxide.